Five villages in South Gironde, nestled between the pine forests and the Garonne, produce one of the most famous wines in the world: Sauternes, one of Bordeaux’s most prestigious AOC [Controlled Appellation of Origin]. Discover the localities behind this wine: Barsac, Bommes, Fargues, Preignac and Sauternes! Sauternes, the golden wine with a subtle robe, owes its sweet taste to nature... The Ciron, a small river which flows through the Gironde area. During the autumn, when the Ciron's waters meet the warmer waters of the Garonne, morning mists appear and encourage the growth of a fungus called Botrytis cinerea. This develops on the grapes and is the origin of noble rot, resulting in a concentration of flavours and increased richness. The subsoil which produces this fine wine is composed of pebbles, limestone, clay and sand. Sauternes is thus produced in a specific natural environment. It was in 1855 that Napoleon III requested that the various wines of France be classified for the World Fair in Paris. Only 27 châteaux were classified in the Sauternes and Barsac appellation, and were divided into three categories. A historical moment for the reputation of Sauternes! On a visit to South Gironde, make sure you visit to the prestigious Château d’Yquem, the only Premier Cru Supérieur in Bordeaux. This iconic fortress on the top of a hill overlooking the whole Sauternes & Barsac appellation, produces its wines over some one hundred hectares. You can visit the estate, discover its underground cellars and taste this outstanding grand cru in a magnificent setting! Prepare your visit in advance, the Château d’Yquem is very popular and well worth it! The Maison du Sauternes and the Maison des Vins de Barsac et Sauternes in Sauternes and Barsac respectively, will be delighted to welcome you! Before purchasing a bottle, sample the wine with different food to be sure of your choice! If you feel hungry in Sauternes, take a seat in the garden of the Sauternes Truck food truck, and its view of the vineyards. 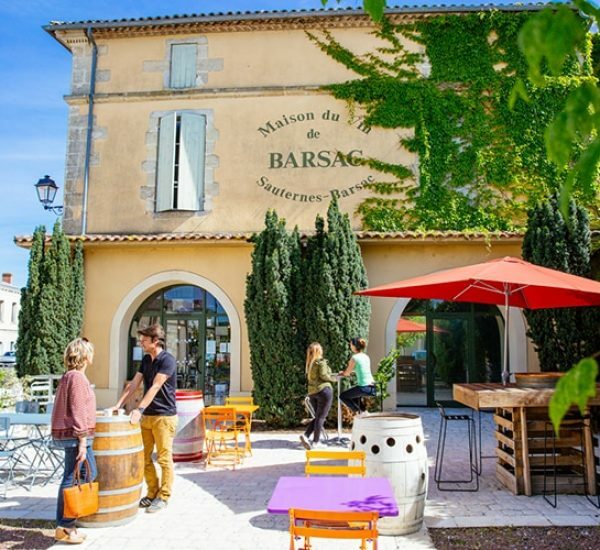 In Barsac, the wine bar of the Maison de Barsac et Sauternes offers tapas and platters, carefully matched with fine wines! 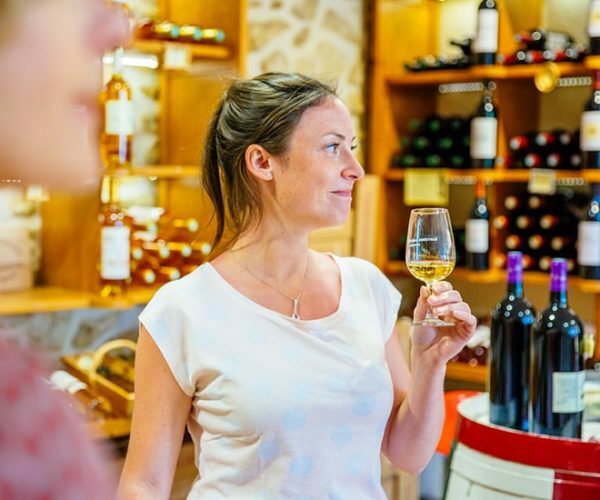 To visit Sauternes from a different perspective, the Sauternes Graves Landes Girondines tourist office organises various theme days. From Bommes, take a canoe along the cool waters of the Ciron, come ashore at the Domaine de Carbonnieu and taste a glass of Sauternes. Don’t miss the famous Fêtes Nautiques de Bommes (Bommes Water Festival) in August to admire the traditional parade of canoes! The tourist office also organises its Journées Sauternes Prestige, (Special Sauternes Days) at Château d’Yquem and Château de Climens. Advance booking is recommended. 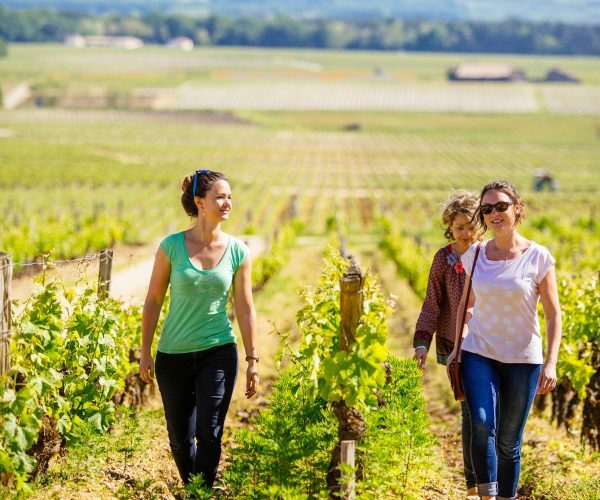 The appellation open days and the Sauternes Fête le Vin wine festival are also opportunities to discover the Sauternes vineyards. Who has never dreamed of tasting a grand cru from the treetops? With the team from Au Fil du Ciron and the Château de Rayne Vigneau, you can visit the cellars, climb the trees and then sip a glass of Sauternes, comfortably perched in the branches of a two-hundred-year-old cedar: a nature tasting in South Gironde!